"My Soul Hath Rejoiced In God My Savior"
The Joyful Mysteries are taken mostly from St. Luke's Gospel in the New Testament. They involve the joyful events of Jesus' childhood. The most joyful event in all of human history is the Incarnation or when God became man and dwelt among us. of the Father,) full of grace and truth." When Adam and Eve sinned against God, the gates of heaven were closed. God promised to send a savior who would open the gates of heaven. Jesus is the fulfillment of God's promise. That is why the Incarnation is the most wonderful event in human history. The Joyful Mysteries of the Rosary are so called because they recount all the Joys of the "Good News", namely Jesus. 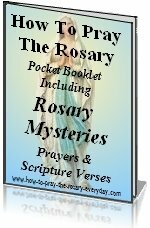 Having a clearer picture of the scene and significance of the rosary mystery will greatly enhance your meditation. 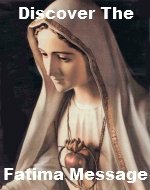 Remember the means by which the Rosary prayer brings about such inner peace is the use of both mental and vocal prayer. This is how your mind internalizes the events in the life of Jesus. 15 Rosary Promises given to Saint Dominic to help you find peace in this life and the next.